Costs – What do you think you’ll pay to have a tree removed or trimmed in Pittsburgh, Pennsylvania? See what the average costs are so you don’t pay more than you should. FAQs – Expecting to cut down and plant new trees in the spring? Make sure you’re aware of the pests, problem trees and popular trees thriving in Pittsburgh before you start. Services – Need a pro fast? Look through our list below of everyone in your area. How Much Do Tree Services Cost in Pittsburgh? Homeowners in Pittsburgh, Pennsylvania, have a large variety of services to choose from when it comes to tree and shrub maintenance and removal. Depending on the type of service needed, the costs can vary by quite a lot. Removal costs are based on several factors. The height, location in relation to buildings or power lines, and the amount of wood that will need to be hauled away all factor into the final total. Another consideration is the type of tree or shrub – factors such as hard to remove root systems or tight branch patterns may make the job more difficult and costly. The majority of Pittsburgh residents spend between $520 and $740 to remove an average tree. Stump removal ranges between $80 and $150 for medium to large tree stumps. This includes delivery of essential machinery, costs to ready the work area and debris removal. Two hours of labor are also included in these figures. If a general contractor is overseeing the stump removal projects, homeowners can expect to add a little more to cover their fees, and costs such as sales tax or permit costs are not added to this total. Maintenance of trees and shrubs will run between $280 and $420. This includes trimming, pruning and fertilizer as well as a disease and pest control program. Pittsburgh is home to many species and varieties of trees that flourish in backyards across the city. Before you consider planting new trees this spring, be aware of the problem trees and pests that might inhibit your choices. There are also rules and regulations the city enforces related to trees that you should know ahead of time. Pittsburgh does not have any rules governing the removal of trees on private property unless the tree interferes with public utility lines or is close to a street or sidewalk. When a tree starts to interfere with a utility line, the Forestry Division will inspect the tree and trim or remove it as needed. At other times, the Bureau of Building Inspection may present a citation to a property owner if a tree’s roots are interfering with a sidewalk. When this happens, it is best to contact the Forestry Division so that they can safely prune the roots without harming the tree or causing it to be weak against wind. For planting trees, homeowners are advised to contact the City of Pittsburgh to see if a permit will be required. Permits are often necessary if a planting site is close to a street or sidewalk and within the city right-of-way. Trees and shrubs can be removed during any time of the year as problems occur. Pruning is best done in the fall or early winter, so the tree or shrub has time to prepare itself for a new flush of growth. Many prefer to fell trees in the winter for several reasons. First, it can be easier to work on frozen ground – damage to a lawn can be reduced, and there is less chance of wet conditions impeding vehicles and laborers. Those who cut trees for firewood also prefer the winter as this is when sap levels are lowest. The wood will cure and be ready to burn more quickly. The Eastern hemlock (Tsuga canadensis) is the Pennsylvania state tree. It is also a popular choice for homeowners because of its many good qualities. It is a large, sturdy tree, growing up to 140 feet, and it can live for more than 400 years. Eastern hemlocks are known to provide habitats for many songbirds and squirrels as well as offer cool, deep shade. Which Trees are Most Popular in Pittsburgh? 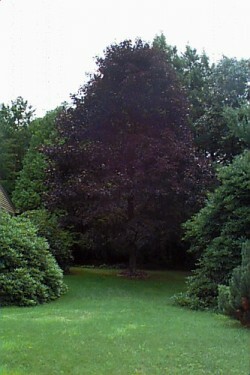 The Littleleaf linden is one of the taller selections, reaching heights of more than 80 or 90 feet. Homeowners who want smaller types should try one of the many crabapple varieties or a star magnolia. Fruit and nut trees are another common sight in Pittsburgh landscapes. Homeowners can pick from a large selection of fruits, with the exclusion of citrus fruits. Apples, peaches, pears, plums, walnuts and more are all grown quite successfully. There are even some unusual species like pawpaw trees and hardy pecans that will thrive in the Pennsylvania climate. There are a few diseases that can affect trees in Pennsylvania, including oak wilt, Dutch elm disease, anthracnose, maple decline, fire blight and verticillium wilt. 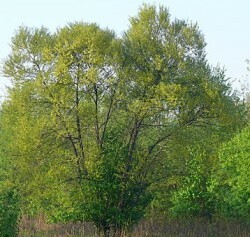 Signs of sick trees can appear in several ways. Watch for unusual lumps on branches or strange bark patterns. Unexplained wilting and growths or spots on leaves can be another indicator. Diseased trees should be treated or removed quickly to ensure the safety of other trees in the vicinity. The emerald ash borer is another cause for concern in Pennsylvania. It is an insect that is responsible for killing millions of ash trees across the eastern United States. Many places have restrictions on the timbering and transport of ash wood to prevent the further spread of the infestation.